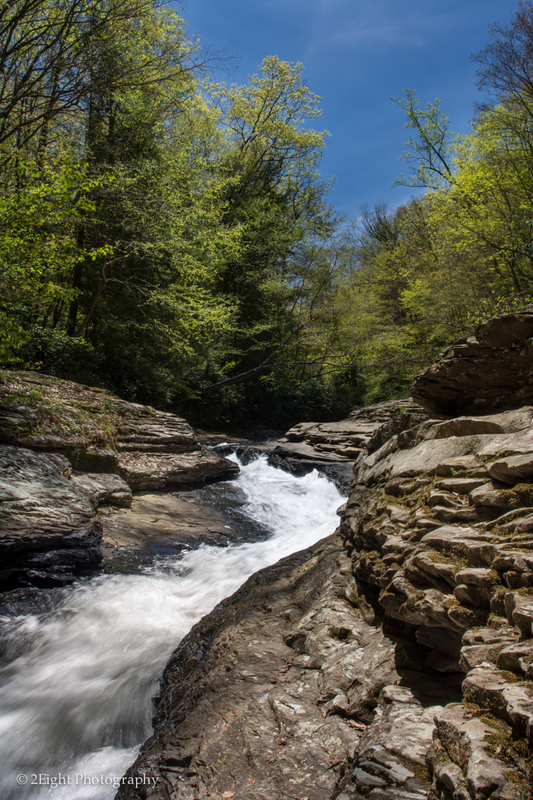 Tonights I am posting one of my shots from a recent quick trip to Ohiopyle. The photo is of the natural water slides. During the hot summer this is a great attraction to the visitors of the park and a fun way to cool down quickly. This was shot with a Nikon D7100. This was part of a test run with the camera to start getting a feel for how the camera works in different lighting situations and with different colors. So far I can say that I’m impressed with the color rendition and exposure of the camera.